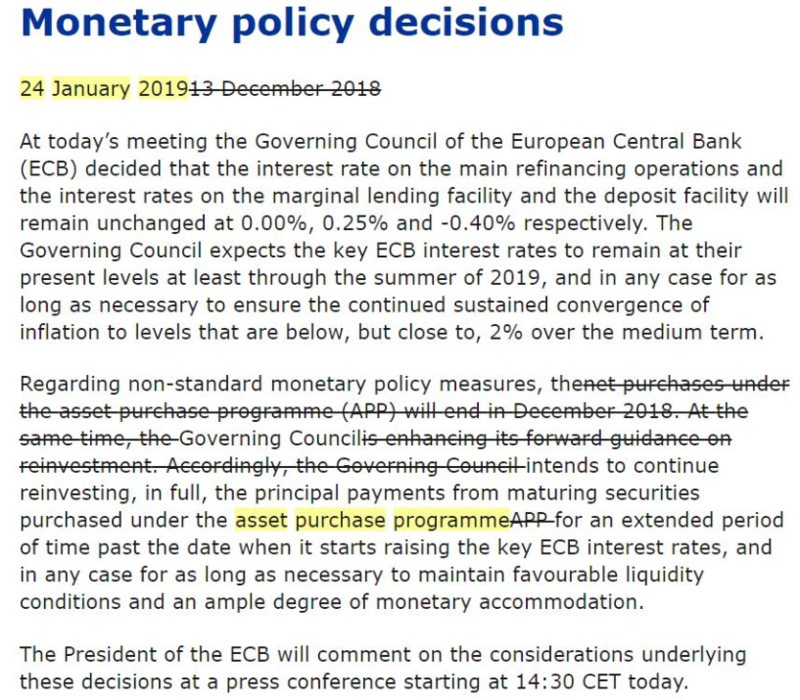 At the same time as announcing the rates the latest policy statement from the ECB was also released, in what was an almost carbon copy of the previous statement. The only real difference was the date in the heading and also the omission of the line relating to the end of the asset purchase programme. To summarise, the overall feeling from the event was that the ECB are now adopting a slightly more dovish stance than they were at their last meeting, but the shift doesn’t appear to be that great and is not as apparent as the one seen across the Atlantic in the US. This can be seen by the move in the money markets, with now price less than a 40% chance of an ECB rate hike in 2019 compared to 45% earlier.